Pat Mahony African Winter, 2019 Oil on Canvas, 36" x 48"
California’s natural beauty and diverse landscape has been giving artists a source of inspiration in the genre of landscape painting since Albert Bierstadt and his 19th century depictions of Yosemite. Bierstadt’s practice of capturing the exceptional, ethereal light of California continues in contemporary landscapes as artists today explore a new sublimity present in the 21st century. Featuring scenes of fertile valleys, sparkling beaches, dense forests, and seemingly boundless deserts, Californian landscapes remain the root of poetic allure for artists today. Many such artists will be displaying the products of this inspiration and influence again this year in the 15th Annual California Landscape Exhibition. The rocky beaches, arid deserts, and lush agricultural land are just a few of California’s multitude of complex and consistently developing eco-systems, providing endless possibilities for unique works of art. 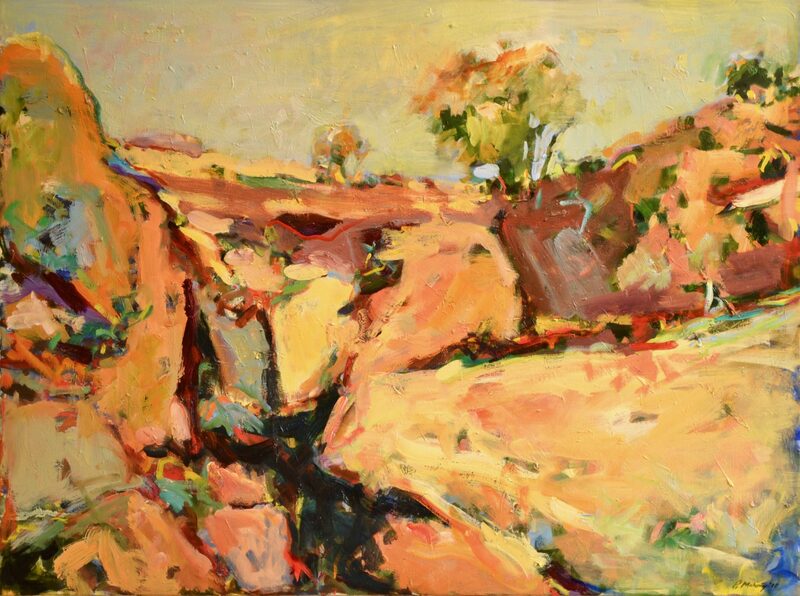 Contemporary artists such as Pat Mahony, Kerry Rowland-Avrech,Marti Walker, Philippe Gandiol, Julie Smiley and Boyd Gavin have taken the multifaceted nature of California and brought new ways of viewing landscapes to the John Natsoulas Gallery. The exhibition displays original representations of scenic vistas and cityscapes and offers visitors the opportunity to view the familiar in new and exciting ways. There has never been a single prevailing Californian aesthetic, but it is the consistent reference to nature that seems to assert itself as our state’s ubiquitous influence within the broader artistic community. Join us at the John Natsoulas Gallery to witness and experience California’s limitless beauty and the distinct role it plays in the world of California art.